–Buffalo Bills players and coaches have donated more than $40,000 to help feed more than 900 families pre-selected by the Food Bank of WNY for the Thanksgiving holiday. Today, approximately 600 families will receive food packages at the Food Bank, with an additional 300 families to follow later. The event has been spearheaded by Bills Co-Strength and Conditioning Coach John Gamble. Each meal package is designed to feed 8 – 10 people and Bills players will be on hand to hand out food packages and visit with families. Bills owner Ralph C. Wilson, Jr. and his wife, Mary, kicked off the donation process with a $10,000 gift. Q: Looking at the schedule and the standings, Indianapolis is another team you guys can kind of chase down here. A: The main thing is if we want to get to the playoffs every team that we play from here on out is going to be on course to be in the way. We just have to take it one game at a time. We know that each week is tough and it is no exception this week. In order to give yourself a chance to win, you have to have a great week of preparation. I have all the confidence in the world that our guys will have a great week this week leading up to the game. RB C.J. 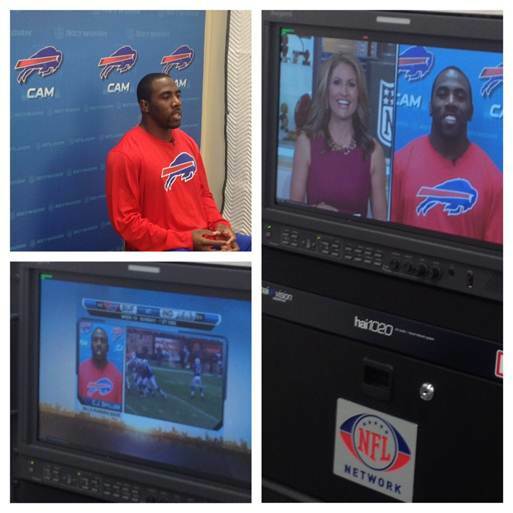 Spiller went live with NFL Network’s NFL AM session this morning previewing this week’s game versus Indianapolis and his support of playing with QB Ryan Fitzpatrick, Coach Gailey and splitting carries with fellow RB Fred Jackson. Bills’ kicker Scott Norwood kicked the game-winning field goal, 3:47 into overtime to give Buffalo a 9-6 victory over the NY Jets at Rich Stadium. NT Fred Smerlas blocked a Pat Leahy 40-yard field goal attempt with 19 seconds left in regulation. It was Buffalo’s first AFC East title since 1980. The Bills get 508 total yards in offense as they beat Houston, 42-20 in Houston. What’s the Bills Future In Western New York?